Song of the Islands (1942) shows the influence of cowboys on the Hawaiian cattle ranches. Ranches in Hawai’i brought an interesting mix of people to the islands. 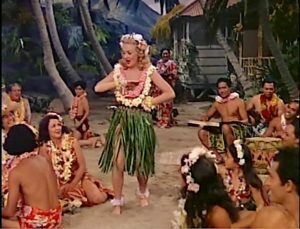 The Hawaiian culture has a strong expression in music and dance, both showcased in this film, with Betty Grable adding extra glamour to the mix. George Vancouver introduced cattle to Hawaii in the late 1700s. In the 1830s, vaqueros from California and Mexico were hired and began the paniolo (Hawaiian cowboy) traditions. 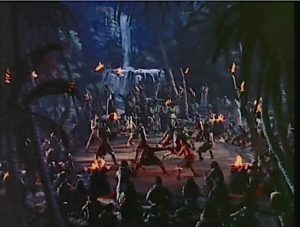 Song of the Islands takes place on Ahmi-Oni Isle, a tiny island (near Lanai) in the middle of the Hawaiian islands. Ahmi-Oni has a split personality — one side of it is owned by Dennis O’Brien (Thomas Mitchell), the other by Harper (George Barbier.) O’Brien loves the native lifestyle. He has lived it himself, has raised his daughter amidst it, and wants to preserve his land for the island people. Harper is a no-nonsense absentee landowner. 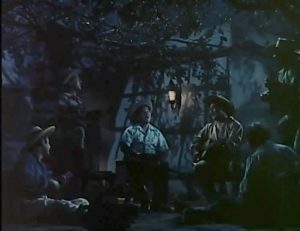 There are no women on his Circle H ranch and he wants his half of the island to be an efficient, profit-making cattle ranch. 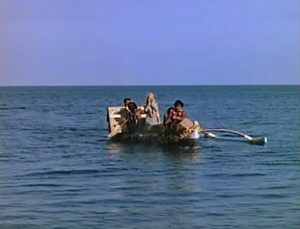 Eileen O’Brien (Betty Grable) arrives back on the Isle in an outrigger canoe, singing “Sing Me a Song of the Islands.” She’s been at school on the mainland for three years. The O’Brien side of the Isle puts on a sumptuous homecoming party for Eileen, with guitars, singing, banana-leaf-covered pigs roasting in imu (cooking pit), hula dancers, and trays of fruits. They sing the Hawaiian War Chant (also known as the romantic song Kāua I Ka Huahua’i). Eileen is very happy to be back home, but she learned to like one special convenience on the mainland and brought it back with her — a modern bathtub for their home. The party cranks up when Eileen dresses in a grass skirt and flowers and performs a swing-hula with 20 local girls to “Down on Ami Ami Oni Oni Isle.” Her childhood nurse, Palola (Hilo Hattie), adds to the festivities by singing a comic version. 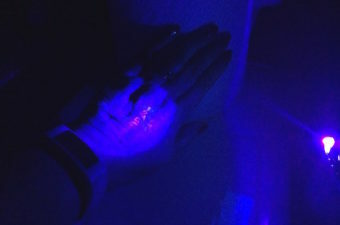 A sailboat suddenly beaches with two young men asleep in the cabin. They are cattle ranchers: Mr. Harper’s son and his Texas ranch manager, headed to the Circle H Ranch for a visit. 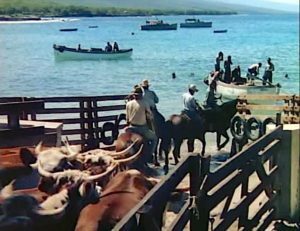 Jeff Harper (Victor Mature) has been sent to make a deal with O’Brien to make his land part of the Circle H.
Rusty Smith (Jack Oakie) is checking out the Hawaiian cattle operation. He finds the Hawaiian cowboy songs strange (Maika’i Ka Makani O Kohala), so he teaches them “Home on the Range.” The paniolo (cowhands) make it their own, changing it into a hapa haole song, half Hawaiian, half English. 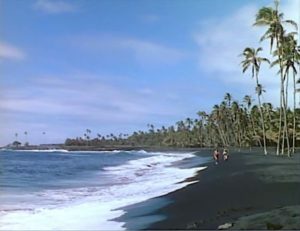 Jeff and Eileen feel an attraction and start going out for moonlight sails and sunbathing on the black sand together. Meanwhile, Palola has chosen Rusty for a husband-to-be, although he’s far more interested in her young cousin (Lillian Porter). Rusty meets Palola’s papa (Billy Gilbert), a very scary man reputed to be descended from cannibals (seriously?). Rusty survives a meal at Palola’s home that includes poi, coconut sauce, and octopus. Jeff’s father flies in from Chicago on the Honolulu Clipper. He’s very upset that Jeff is not acquiring the O’Brien land and might actually marry the O’Brien daughter. Jeff wants his dad to calm down and relax. He brings him to a party at O’Brien’s where everyone sings Maluna Malolo Mawaena. Harper and O’Brien discuss the use of O’Brien’s harbor for the Harper cattle operation. 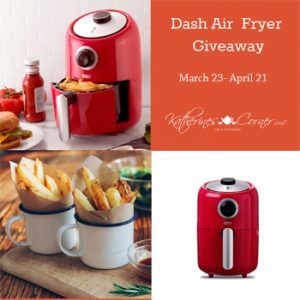 The talks break down when Harper won’t accept a friendly arrangement. Just when the Harper contingent is about to march off in a huff, a huge storm comes up and washes out the bridge between the two properties. Harper dad and son and Rusty have to spend the night with the O’Briens. The two dads get friendly again while drinking a fermented papaya fruit concoction as a tonic. 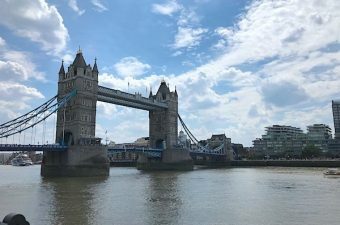 The senior Harper becomes convinced that he needs to spend more time on the Isle and get away from his hectic life in Chicago. Now the problem is to convince the angry Eileen to accept Jeff. Palola organizes a spectacular St. Patrick’s Day luau. 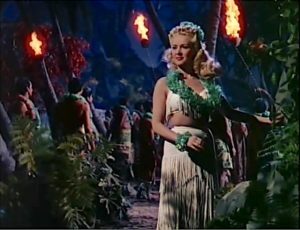 Eileen wears a beautiful white evening-dress version of a hula outfit, covered with long white silk fringe. The local young men do a Samoan style dance, Palola sings the comic “Cockeyed Mayor of Kaunakakai,” Eileen leads the group in “O’Brien Has Gone Hawaiian” and an Irish-hula-jig. There’s so much going on, you’ll have to watch closely to see if Jeff “captures” Eileen and if Rusty ends up with the lovely cousin or with Palola. Mack Gordon and Harry Owens provide the lively music for this tropical celebration. 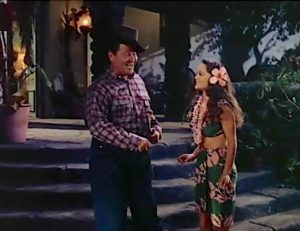 Other song and dance numbers in the film include “Blue Shadows and White Gardenias”, “What’s Buzzin’ Cousin,” and Na Lei O Hawai’i. Harry Owens and his Royal Hawaiians were the principal entertainment at the Royal Hawaiian Hotel and provide a great soundtrack for the action. He wrote the hit song Sweet Leilani and wrote or transcribed many more Hawaiian songs. 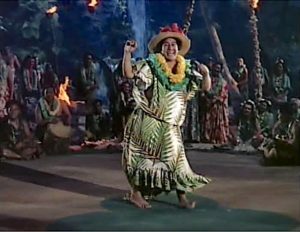 Clara Inter was the beloved Hawaiian entertainer Hilo Hattie. This was her first film. 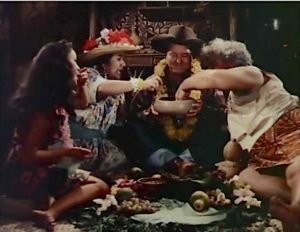 Song of the Islands is a thoroughly entertaining journey to a Hollywood version of a Hawaiian island. 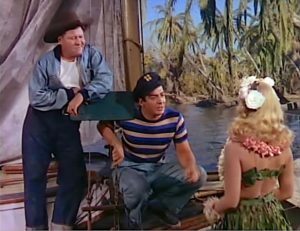 Betty Grable looks wonderful in the tropical outfits and Victor Mature gets plenty of screen time to show off his physique. 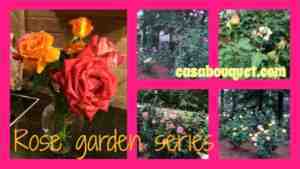 The Hawaiian foods, dances, and mode of dress are shown in rich Technicolor. 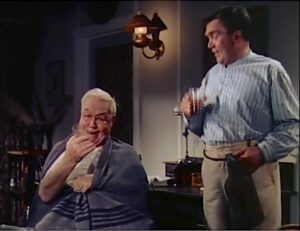 Thomas Mitchell does his usual entertaining blustery Irish father role (check him out in “Gone with the Wind”). Fix yourself a tall coconut drink with a paper umbrella and sit back to be carried away for a rollicking good time. 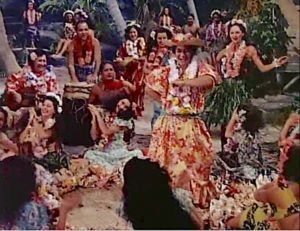 I’ve tried to document the actual Hawaiian songs in Song of the Islands and Honolulu. They are not listed on the soundtrack, nor are many of the performers listed in the credits. I don’t speak Hawaiian so it takes me awhile, but I think it’s important to get the songs added to the documentation on the Internet. 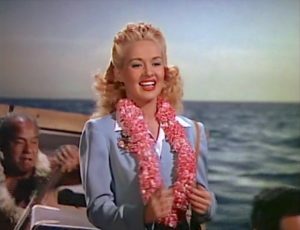 I love any movie with Betty Grable. I love Hawaii. But with modern eyes, it’s a little hard to watch this kind of Hollywood story. 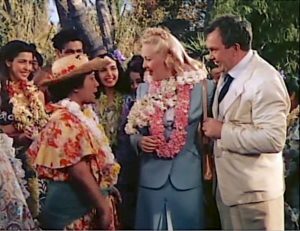 It makes me happy to see Hilo Hattie and Harry Owens, famous Hawaiian entertainers. I always wish that filmmakers would make more use of the beautiful heritage of true Hawaiian music and songs. 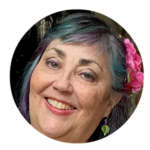 Hi there – just read that Betty Grable is your distant relative (how fun)! 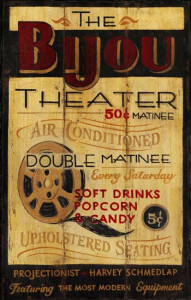 Used to watch old musicals with my grandparents = fond memories! Hey Jodie, The old musicals are so much fun. And the memories! My mother liked Eleanor Powell way better than Ginger Rogers! Oh I remember Carmen Miranda growing up. 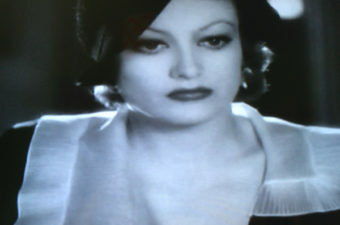 They were all so glamourous in those days. 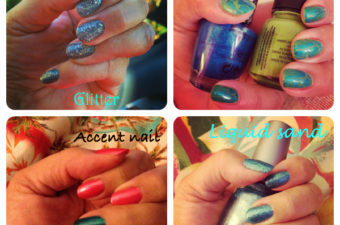 Thanks for linking up with us at #overthemoon link party. Hey Sue, Yes, I enjoy the glamour of the classic films. And Betty Grable is my distant relative!